The Gardens’ specimen of Frangula purshiana, Cascara Buckthorne, is small. It was purchased from the California Native Plant Society in fall of 2013 and will take awhile to grow to its mature height of 15 to 30 feet tall. Still, you can see its characteristic strong venation. Creamy flowers appear in April and May attracting bees and birds enjoy the dark purple berries that follow. 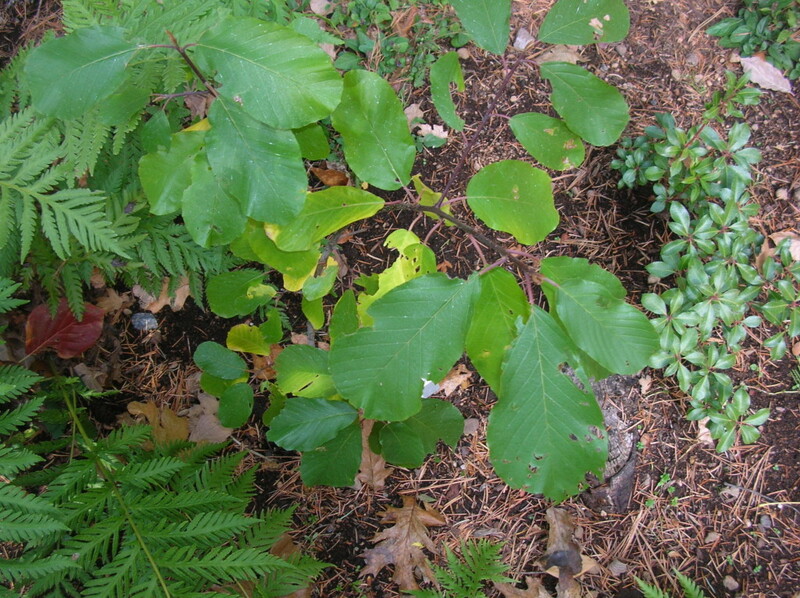 Native Americans used the bark for medicinal purposes. Taxonomists recently changed its name from Rhamnus purshiana to Frangula purshiana.